Options Cafe launches a next generation options platform that lets traders rapidly discover, review, and execute trades commission-free with Tradier Brokerage. Charlotte, North Carolina – Feb 21st, 2019 — Options Cafe (options.cafe) is pleased to announce the launch of its options platform that lets traders rapidly find their trade opportunities and execute trades seamlessly without paying commissions. Charlotte, North Carolina – Nov 21st, 2018 — Tradier Inc. and Jellifin are today happy to announce a partnership to enable and simplify development of active investor and digital advisory products on Tradier. Redmond, Washington – Sep 24th, 2018 — Fast-growing advanced options platform Quantcha is pleased to announce Quantcha Unlimited, a comprehensive offer that includes complete access to the Quantcha Options Suite along with unlimited commission-free stock and options trading through Tradier Brokerage for just $99/month. Charlotte, North Carolina – Jul 11th, 2018 — One of the nation’s largest platforms for interactive financial training and education, Simpler Trading, is pleased to announce its connectivity to Tradier Brokerage as a part of its overall mission to provide quality education and value to its trader community. Los Angeles, California – Mar 22nd, 2018 — Equities.com in partnership with Tradier Brokerage Inc. is pleased today to announce the availability of commission free and unlimited equity trading from its platform to retail investors and its growing base of 300,000 users per month. Charlotte, North Carolina – Dec 22nd, 2017 — Traders will pay Zero Commissions with a $99 subscription of the innovative BetterTrader platform that offers intelligent real-time market updates and analysis. Chicago, Illinois – Aug 1st, 2017 — TradeHawk, built by a combination of deep-rooted industry and technology experts is pleased to announce the launch of its next generation trading platform. Tradehawk greatly simplifies trading experiences and removes all frictions points for users by enabling unlimited commission-free trading from its platform through its partnership with Tradier Brokerage. TradeHawk offers thoughtful trading and risk management tools that will provide traders a rapid and consistent edge in the market. Los Angeles, CA & Charlotte, North Carolina – Mar 20th, 2017 — Equities.com, the emerging growth financial media and investor community, and Tradier Brokerage Inc., a leading brokerage service, announced the launch of unlimited trading on the Equities.com platform via Tradier Brokerage Inc. The partnership is providing investors and Equities.com users an unlimited, free monthly trading subscription for the first two months and following the initial two-month period for an unlimited $29.95 monthly trading fee. Charlotte, North Carolina – Feb 28th, 2017 — Tradier Brokerage Inc. today announced the connectivity of Lucid-Trend.com with the Tradier API. With the availability of this integration, Lucid-Trend customers now perform advanced equity analysis along with trade execution seamlessly from within their Lucid-Trend platform. Los Angeles, California – Feb 21st, 2017 — Furthering its dedication to be a leader in Artificial Intelligence Investing, Stock Circles Inc. is pleased to announce its integration with Tradier Brokerage Inc., a leading online broker that provides Brokerage as a Service. Charlotte, North Carolina – Feb 6th, 2017 — Tradier, Inc., a next generation brokerage solution that provides scalable and secure API’s for platform providers, robo-advisors and developers, today announced that digital advisor OpenInvest has integrated with Tradier Brokerage. Mission-driven and values-based, OpenInvest was built to give investors a frictionless and cost effective way to invest responsibly while helping them effectively manage their investments. Salt Lake City, UT – Oct 19th, 2016 — The Stock Market Blueprint, LLC, a site that finds value stocks for investors building long-term wealth, is excited to announce a new collaboration with Tradier Brokerage. Tampa, Florida – Sep 22nd, 2016 — Key2Options, a next generation automated backtesting and trading strategy building platform, announced today its integration with Tradier Brokerage. As a part of this relationship, the fast growing Key2Options customer base and user community will be able to execute free stock and options trading seamlessly from Key2Options. Charlotte, North Carolina – Aug 24th, 2016 — Tradier, Inc., a next generation brokerage solution that provides a bundled API for platform providers and developers, today announced that it is migrating its core equity and options clearing relationship to Apex Clearing Corporation. Charlotte, North Carolina – Aug 10th, 2016 — Tradier Brokerage Inc., a leading brokerage service company, and Equities.com, the emerging growth financial media and investor community, announced today a partnership to allow investors to conduct stock trading via Equities.com for a monthly subscription fee of $29.95 per month with no commissions or hidden fees. Charlotte, North Carolina – Jun 1st, 2016 — Tradier, Inc., an industry leader in providing next generation brokerage solutions that enable Platform Providers and Developers, Digital Advisors, Registered Investment Advisors and Registered Broker-Dealers to offer trading access to the US Markets through its bundled APIs from their platforms, today announced that Stephen Ehrlich has been named as its next Chief Executive Officer as of June 1st 2016. Mr. Ehrlich succeeds Founder Dan Raju who will assume the role of the Executive Chairman and Chief Information and Product Officer. 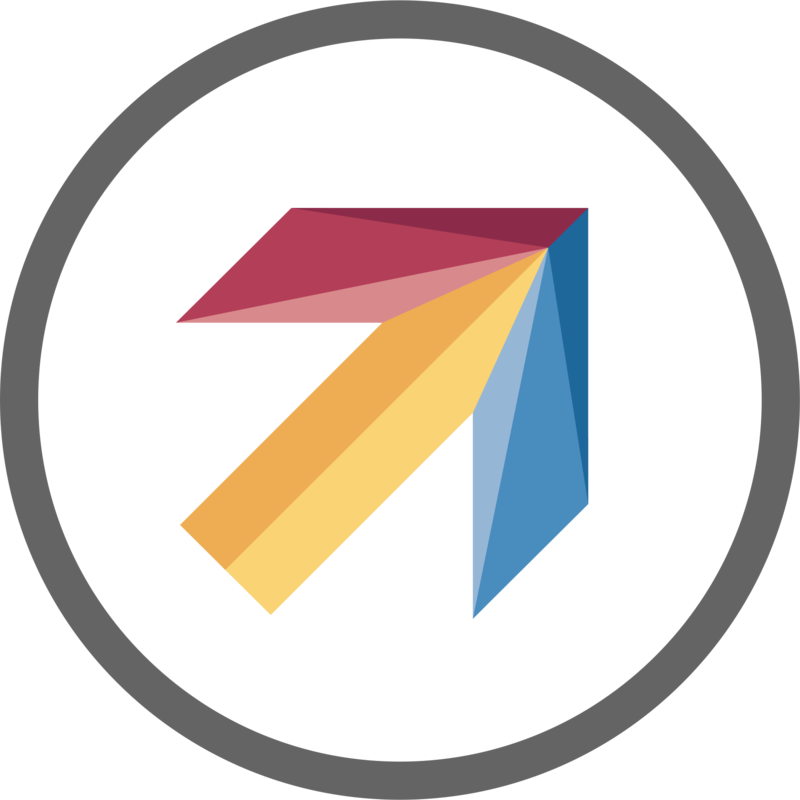 Charlotte, North Carolina – Jan 28th, 2016 — Tradier, Inc., the leading brokerage-as-a-service company, today announced online trading platform and California-based Investfly integrated with the Tradier API to empower the Investfly community with the ability to place live trades directly from its platform. Through Investfly’s suite of trading tools and interactive forums that reduce the complexity of trading, veteran and rookie traders are able to create smarter investment strategies. The integration into Tradier’s API will further simplify the trading experience and provide Investfly users a seamless and fully integrated experience that offers both stock information and guidance along with the ability to trade from the Investfly user interface. Charlotte, North Carolina – Jan 28th, 2016 — Tradier, Inc., the leading brokerage-as-a-service company, today announced advanced options trading platform and New York-based Quotail integrated with the Tradier API. Professional and retail traders leveraging Quotail’s option trade scanning and analytics tools are now able to move from idea to action in seconds. By integrating into Tradier’s API, the Quotail community gains the ability to immediately buy or sell based on real-time options trade information without the need to open up a new browser or exit the Quotail platform. Charlotte, North Carolina – Dec 14th, 2015 — Tradier, Inc., the leading brokerage-as-a-service company, today announced that predictive analytics platform, WooTrader has integrated with the Tradier API to enable users to purchase and sell stocks directly from within its system. WooTrader's weighted predictive analytics model helps investors make more informed investments by leveraging hundreds of stock market indicators to generate weighted rankings that reflect current stock market trends. The Tradier brokerage platform integration will enable Wootrader users to benefit from a more frictionless trading experience with key stock rankings and ability to seamlessly buy or sell trades from the platform. Charlotte, North Carolina – Dec 1st, 2015 — Tradier, Inc., the innovative cloud-based financial services API firm, today announced that over 100 financial technology companies are now adopting its Tradier API to provide individual investors, traders and advisors with convenient and easy access to brokerage services. Charlotte, North Carolina – Nov 3rd, 2015 — Tradier Brokerage, Inc., the cloud-based financial services brokerage firm, today announced a collaboration with trading analysis platform, Equities Lab, to provide university students with real-world trading experiences. Universities currently leveraging Equities Lab in the classroom will now have the added opportunity to have students experience live trading directly from the platform via Tradier Brokerage, with the added incentive of having their investments being matched dollar for dollar up to 400 dollars. Charlotte, North Carolina – Oct 29th, 2015 — Tradier Brokerage, Inc., the first open-brokerage API company, today announced that web and mobile application, Technician, powered by ChartIQ, has integrated with the Tradier API to enable trades on the go through the portal from smartphones, tablets or the web, in addition to in-depth technical analysis. Technician’s free charting and technical analysis platform is designed for the modern, mobile world of trading, and with the Tradier Brokerage integration, it now includes the ability to submit trade orders from anywhere and from any device. Charlotte, North Carolina – Oct 15th, 2015 — Tradier Brokerage, Inc., today announced that Global AutoTrading has integrated with the Tradier API to extend brokerage capabilities for the autotrading community. As part of the collaboration, investors already relying on Global AutoTrading’s service to quickly act on trade newsletter alerts will gain the ability to automatically submit orders to Tradier Brokerage, Inc. to swiftly and cost-effectively execute a trade. Tabb Forum – Oct 7th, 2015 — Over the past few years, the unbundling movement in financial services has enabled unprecedented levels of operational efficiency and lowered costs across traditional payments, banking, and lending – with sweeping innovations being introduced by technology-first companies that have made "choice," "value" and "enablement" part of their core DNA. Today, this sweeping movement has started to, finally, penetrate the brokerage industry. Charlotte, North Carolina – Sep 17th, 2015 — Tradier Inc., the innovative cloud-based brokerage API firm today announced it has been named a finalist in both the 2015 Digital Accelerator Awards Best API Program and Digital Business Excellence, Finance categories. The Digital Accelerator Awards, presented by Apigee, is a global awards program recognizing innovative organizations and individuals accelerating and transforming digital business with APIs and data. Charlotte, North Carolina – Sep 16th, 2015 — Tradier Brokerage, Inc., the leading cloud-based financial services brokerage firm, today announced that Dynamic Trend has integrated its Option Dynamics platform with their Brokerage API. The exclusive alliance empowers Option Dynamics clients around the world to benefit from integrated, easy-to-use options tools and capabilities with low commissions. Furthermore, options traders can go from idea to trade in real-time – a combined capability of premium level service and efficiency for Dynamic Trend members. Charlotte, North Carolina – Sep 8th, 2015 — Brokerage API company Tradier Brokerage, Inc. today announced that mobile trading technology pioneer Trading Ticket has integrated the Tradier API into its TradeIt tool to enable users browsing content on financial media and mobile apps to place orders directly from a page or app. Charlotte, North Carolina – Aug 19th, 2015 — Tradier Brokerage, Inc., the brokerage API company, today announced that TradeSharp has integrated with the Tradier API to enable individual traders using its Algorithmic Trading Platform to benefit from Tradier’s brokerage services, scalability and competitive pricing. Individual investors and traders benefiting from TradeSharp’s flexible architecture and ability to easily automate any rules-based trading strategies in stocks, forex and ETFs, will now be able to make more cost-effective trades and have greater flexibility as a result of the integration with Tradier. Charlotte, North Carolina – Aug 6th, 2015 — Tradier, Inc., the fastest-growing cloud-based Brokerage API firm, today announced that Screenulator, provider of the innovative stock analysis charting mobile app in Google Play, Interactive Stock Charts (ISC), has integrated with the Tradier API. The integration of Tradier’s brokerage technology will allow ISC users to place real trades directly from the Android app without opening a separate brokerage app for faster more convenient trades – all with just the touch of a finger and a quick tap. Charlotte, North Carolina – Aug 5th, 2015 — Tradier Brokerage, Inc., a leading cloud-based financial services brokerage firm, today announced that Market Visual has integrated with the Tradier API. The integration enables individual investors using the investing platform to manage stock portfolios and seamlessly make trades directly from Market Visual. Charlotte, North Carolina – Jul 28th, 2015 — Tradier, Inc., the fastest-growing and innovative cloud-based financial services API firm, today announced the milestone of 75 financial technology companies currently utilizing the Tradier API to offer new solutions for active traders and investors. The integrations include established retail offerings such as eSignal and Livevol, and new players like QuantConnect and Instavest who are utilizing the Tradier API to enhance their platforms with direct, frictionless access to brokerage technology. Charlotte, North Carolina and New York, New York – Jul 13th, 2015 — Tradier, Inc. the cloud-based financial services provider, announced Tradier SVP and Chief Evangelist Craig Russell will speak at MoneyShow 2015 taking place in San Francisco, July 16 – 18, 2015. The event is one of the leading trade shows bringing together forward-thinking investors, traders, financial advisors and top financial experts to network and share the latest trends shaping the future of the industry. Charlotte, North Carolina and New York, New York – Jul 7th, 2015 — Tradier, Inc. the innovative cloud-based financial services provider, announced VP of Technology and cofounder, Jason Barry, as a speaker at the ‘Conversations & Cocktails’ networking event following the Amazon Web Services Summit, July 9, 2015 from 6:30 p.m. – 8:30 p.m. at Rare View & Grill (152 West 26th Street). Jason will join fellow fintech leaders from Robinhood, Betterment and Broadridge to discuss innovation in the financial services industry and how technology is driving change. Charlotte, North Carolina – Jun 25th, 2015 — Tradier Brokerage, Inc., the cloud-based financial services brokerage firm, today announced that Equities Lab has integrated with the Tradier API to empower investors to seamlessly execute trades and combine additional portfolio monitoring capabilities with the strategic insight created at the platform. Charlotte, North Carolina – Jun 18th, 2015 — Tradier Brokerage, Inc., the leading cloud-based financial services brokerage firm, today announced that OneOption, LCC (1Option) has integrated with the Trader API. The collaboration will allow 1Option to extend brokerage services to its active options traders to execute trades from the platform. Charlotte, North Carolina and New York, NY – Jun 17th, 2015 — Tradier Brokerage, Inc., the innovative cloud-based financial services brokerage firm, announced Tradier CEO Dan Raju will speak at In|Vest 2015 Conference, a New York City-based event addressing the digital future of the wealth management community. As part of the "Idea Hackathon" pre-conference session, Dan will join a panel of senior financial executives discussing the challenges facing the wealth industry today and ways to overcome new and emerging hurdles. Charlotte, North Carolina – Jun 15th, 2015 — Tradier CEO Dan Raju will speak at In|Vest 2015 Conference, a New York City-based event addressing the digital future of the wealth management community. Charlotte, North Carolina – Jun 15th, 2015 — Tradier Brokerage, Inc., the leading cloud-based financial services brokerage firm, today announced that Option Samurai has integrated with the Tradier API to empower investors to execute trades directly from the options scanner application. The relationship will enable Option Samurai users to convert stock market insights leveraged from the 1.1 million option scans it conducts daily to now make trades directly from the service’s application. Charlotte, North Carolina – Jun 9th, 2015 — Tradier Brokerage, Inc., the leading cloud-based financial services brokerage firm, today announced that Instavest, backed by Y Combinator, has integrated with the Tradier API to power the execution of smart investment advice directly with its brokerage technology. Instavest provides a next generation platform for investors to replicate investments by following the movements of lead investors as they post their trades. A lead investor can only post an investment if he or she has invested on the Instavest platform. The Tradier Brokerage integration enables Instavest to offer affordable and seamless trade execution through its innovative social trading platform. Charlotte, North Carolina – May 27th, 2015 — Tradier Brokerage, Inc., the leading cloud-based financial services brokerage firm, has announced integration of QuantConnect to its API as a part of its strategy to democratize access to algorithmic trading. The relationship will enable seamless access for the users of QuantConnect’s web-based algorithm trading offering to connect to streaming data and execute trades directly from the platform using the Tradier Brokerage API. Charlotte, North Carolina – May 21st, 2015 — Tradier Brokerage, Inc., the leading cloud-based financial services brokerage firm, today announced that options trading provider OptionNET has integrated with the Tradier API. OptionNET Explorer is a complete options trading and analysis software platform. Customers can now use OptionNET Explorer for free to access options analysis technology, and also execute trades at $0.35 per option contract and $3.49 per equity trade. The integration will empower the trading tool platform to become a one stop shop for traders, with direct access to brokerage technology and unique trading solutions. Charlotte, North Carolina – Apr 28th, 2015 — Tradier Brokerage, Inc., the leading cloud-based financial services brokerage firm, today announced the expansion of its brokerage API, in partnership with Apex Clearing Corporation, to serve the growing digital advisory community and RIA’s seeking robo-advisor capabilities. WatersTechnology – Apr 28th, 2015 — Tradier, a cloud­based financial services brokerage firm, and Apex Clearing Corporation have partnered for an expansion of Tradier's brokerage API that is geared toward the advisory community. Charlotte, North Carolina – Apr 13th, 2015 — Tradier, Inc., the leading cloud-based Financial Services Brokerage API, today announced that it has integrated with Orca’s options trading offering. Money Talk – Mar 4th, 2015 — Interview With Tradier CEO Dan Raju on how today's FinTech entrepreneurs are changing the face of the financial services industry and enabling innovation. Charlotte, North Carolina – Feb 26th, 2015 — Tradier, Inc., the leading cloud-based Financial Services Brokerage API, has announced its integration with AbleSys’ AbleTrend, a long-established risk management and chart-based trading platform. Charlotte, North Carolina – Feb 19th, 2015 — Tradier, Inc., the leading cloud-based Financial Services Brokerage API, today announced that Screener.co, developer of a global equity research platform has added Tradier's brokerage API to its platform. Charlotte, North Carolina and New York, NY – Feb 2nd, 2015 — Tradier, Inc., the leading cloud-based financial services brokerage API company, has appointed Rio Slaven as Head of Marketing. She will also focus on supporting developer relationships, assisting them with Tradier's integration onto their platforms and helping them realize business growth and product expansion. Charlotte, North Carolina – Dec 19th, 2014 — Tradier Brokerage Inc. today announced the integration to the Tradier Brokerage API of Livevol Core. Customers can now use the Livevol Core Product for FREE to access leading options research and analysis, and also execute trades at $0.35 per option contract and $3.49 per equity trade. Charlotte, North Carolina – Oct 19th, 2014 — Tradier announced today that it has appointed former E*TRADE President and Chief Operating Officer Jarrett Lilien to its Board. Jarrett was also the CEO and Founder of TIR Securities which was sold to E*TRADE financial. I Love APIs, San Francisco, CA – Sep 14th, 2014 — Financial trade and data API provider Tradier today announced that it has won the 2014 Digital Accelerator Award for business excellence in financial services. The Digital Accelerator Awards, sponsored by Apigee, is a global awards program recognizing innovative organizations and individuals accelerating and transforming digital business with APIs and data. Charlotte, North Carolina – Sep 3rd, 2014 — Tradier, Inc., a next generation brokerage solution that provides a bundled API for platform providers and developers, today announced that leading social community Scutify has integrated with Tradier Brokerage. This offering serves a significant milestone in the industry where traditionally social networks stood painfully isolated from trading capabilities. This integration creates a compelling offering for retail active investors where they can engage socially, track trends, collaborate and now trade from a single user experience. Charlotte, North Carolina – Aug 13th, 2014 — Tradier Inc. today announced that it has been named a finalist in the 2014 Digital Accelerator Awards in the categories of Vision, Business Excellence and Developer Experience. The Digital Accelerator Awards, sponsored by Apigee, is a global awards program recognizing innovative organizations and individuals accelerating and transforming digital business with APIs and data. Charlotte, North Carolina – Jun 8th, 2014 — Tradier Inc. today announced that eSignal, one of the most reputable and comprehensive trading platforms is now connected to Tradier Brokerage. As a part of this integration, traders now have access to scalable and cost effective execution from Tradier Brokerage directly from inside the eSignal Platform. Charlotte, North Carolina – May 23rd, 2014 — Tradier Brokerage Inc. today announced the connectivity of OptionVue software with the Tradier API. With the availability of this integration, retail investors can now Trade Options from within the OptionVue Software. Charlotte, North Carolina – May 7th, 2014 — Tradier Brokerage Inc. today announced the completion of connectivity for the MotiveWave software with the Tradier Brokerage API. MotiveWave is an advanced charting, trading and market analysis platform .This will allow Tradier Brokerage account holders the capability to execute and monitor trades directly from the MotiveWave platform and MotiveWave customers will now have the opportunity to enhance their current trading experience. Charlotte, North Carolina – Apr 23rd, 2014 — Tradier Inc. today announced a Series A round of financing led by Devonshire Investors, a private investment firm affiliated with the owners of Fidelity Investments, and joined by existing angel investors. Charlotte, North Carolina – Mar 18th, 2014 — Leading Trading API and brokerage platform provider Tradier Inc. today appointed Craig Russell to be its Senior Vice President of Product and Chief Evangelist. Charlotte, North Carolina – Feb 26th, 2014 — Tradier Brokerage has announced today that Paul H. Lee has joined the company as Senior Vice President of Operations. With nearly 20 years experience in operations, risk management, trading analysis, compliance and business development, Lee has overall responsibility for Tradier Brokerage's operations and support. Charlotte, North Carolina – Oct 15th, 2013 — Tradier Brokerage Inc. announced today the general availability of its online platform. This technology-focused brokerage platform offers complete trade capability, innovative real-time APIs, rich data and a unique set of embeddable web and mobile modules. Using Tradier Brokerage's online offering and APIs, clients can rapidly create customized trading experiences, real-time portfolios and executions. Tradier Brokerage leverages the Tradier cloud engine to offer this scalable and flexible solution. Over the next few months the company will continue to release product updates. Charlotte, North Carolina – Sep 24th, 2013 — Financial Services Cloud Provider Tradier, Inc. announced today that it has chosen Apigee, the API company, to deliver its Bundled Financial Services API. Tradier, which offers a unique "Out of the Box" Cloud API for trading tool providers, will leverage the Apigee API platform for API delivery and management. As a part of the Tradier strategy to create a financial services cloud platform, it wanted an API solution vendor that has a proven platform and also brings a high level of innovation. As a result, Apigee and Tradier have been collaborating over the past few months. Columbus, Ohio – Jun 23rd, 2013 — MeridianSoft announced today a new key milestone in its growth as it has signed a contract with Tradier Inc., to provide client onboarding technology services. This announcement is another indication of MeridianSoft's increased presence in the financial technology space and its ability to deliver quality technology integration and development services. MeridianSoft provides a unique combination of business process re-engineering, global delivery and most importantly deep technical and domain expertise to its customers. New York, New York – Jun 18th, 2013 — Tradier, Inc. today announced they have selected NASDAQ OMX FinQloud, a secure, cloud computing platform designed exclusively for the financial services sector and powered by Amazon Web Services (AWS), to build their 'cloud brokerage platform.' Tradier is a newly formed next generation financial services technology solution that provides a fully bundled trading platform for tool providers, online banks and developers to create powerful online and mobile trading experiences for their users. Charlotte, North Carolina – Jun 3rd, 2013 — Financial Services Cloud Provider, Tradier announced that CEO, Dan Raju, will share his ideas and perspective at the Futures Industry Association (FIA) technology event in Chicago, IL on June 5th 2013. The panel discussion titled "Top Tech Trends in 2013" will also feature participation from top executives at Nasdaq and Aqumin. Charlotte, North Carolina – Apr 19th, 2013 — Financial services cloud provider Tradier announced today that it has entered into a strategic technology relationship with ETNA Software to provide key components and platform development services for its core platform. This marks a considerable milestone in the upcoming launch of Tradier. Tradier: Brokerage API "On Steroids"